Let us bounce till the sun goes down. Okay, we just made that up, but that can be the next most-sung poem in your household, don’t you think? And no, you don’t have to wait until your child is older for them to take part in the fun activity – you can choose from among the best baby bouncers that are currently available in the market as soon as your child is born. And that’s not all these baby bouncers can help you with (having fun with your child) – they can also become your baby’s favourite spot in the house where they can bounce away or remain gently distracted in a safe environment as you go about your daily activities. Not convinced? Let us share with you some of the reasons why you should definitely bring home a baby bouncer. While you go about your daily activities, your baby may start feeling lonely and bored. And you know what that means – a crying session that will go on endlessly and make you regret the moment you ever left your baby’s side. And we all know you’d stay there happily but there is a problem…the household chores will not do themselves. Your maternity leave will not last forever. You will have to eventually have to find a way to teach your kid how to be alone and comfortable. And a baby bouncer is a great place to start. With a smooth, rocking motion that mimics that of a human’s, a baby bouncer can be a substitute for your arms as you do what needs to be done. If you already have kids or have been around young parents often, you will know that for many of them, bedtime is one of the most dreaded times of the day. Because their child will just refuse to welcome sleep with arms wide open. And after one or two days of being on your feet for hours, rocking your child, changing one position, then the other, and then yet another, you will realise that you need an alternative solution. Because your arms, back, and legs just cannot take it any longer. And that is where a baby bouncer comes into the picture. Some babies are just fussier than others and if you get one of those, you just have to deal with it. No amount of cradling in your arms, bouncing up and down, rocking back and forth will do the trick when it comes to making the baby calm and you will eventually have to give in to your tired arms, legs, and back and put the baby down, even if that means they will immediately start crying again – considering they were quiet when they were in your arms. That is where a baby bouncer enters the picture and helps take that worry away entirely. With a combination of rocking motions, as well as potential vibration modes and sound and music stimuli, your child is bound to finally be soothed. And that is when you’ll realise you made the best decision of your life when you chose to buy the baby bouncer. This one is more about the seat bouncers that are suitable for slightly older children, that is, those who can sit up in a seat unassisted. The bouncers made for them are no less than entire activity centers that have numerous activities they can remain engaged with. With seats that turn 360 degrees and give them a view of their entire surroundings, as well as colours and sounds that can distract them and keep them busy for hours, you won’t really need to buy too many other toys if you bring one of these baby bouncers home. By rocking their own bouncer because of their movement, the child learns just what they are capable of and what kind and extent of a reaction their actions can have. On top of this, they get a chance to strengthen their muscles and work on their motor skills and their hand-eye coordination among other things. This is true for both kinds of bouncers, the ones for newborn babies that have a toy bar with toys attached, as well as for the activity centres we just talked about. When the child sees what they like and gets attracted toward it, they reach out and try to grab it and play with it. And that is what helps them enhance their skills and strengthen their muscles. There are some bouncers for babies, especially the sit-up kind that come with multiple activities that can put your little one’s brain into gear and get them to start learning while they play. Some of the basic things they can learn about are numbers, colours, the alphabet, and so on. In this way, playtime becomes educational! The doctor-approved, ergonomic design of the baby bouncer ensures that the weight of the baby is distributed evenly and they have full body support (head, back, and neck) so that it causes no health issues to the child. What is the point of an infant bouncer if someone constantly has to sit by it and keep it moving? Your child’s movements will keep this bouncer moving. This also helps them develop balance and motor skills. You have the option of adjusting the bouncer to three different heights. Proving the general misconception about bouncers wrong, this one stays by your side for almost two years after your child is born. Once your baby is old enough to sit up on their own, you can convert the seat into a chair that they can sit in. It has four positions, namely play, rest, sleep, and transport, so you can use it to meet your specific needs at a particular moment in time. A belt keeps your child safely in place so you don’t have to worry about them hurting themselves. The product is available in three different materials – soft cotton, cotton/jersey and quick-drying mesh – that all fall into Class 1 when it comes to baby products. They do not contain any harmful substances. You can remove the seat and machine-wash it with ease. In this way, you never have to worry about it being unclean. It folds up pretty small and is easy to carry around with you if you travel a lot or even if you just move around the house a lot. You can keep the baby busy by buying a toy bar sold separately. Grows with your baby – you can use it for up to two years! This product is on the pricier side. Overall, this is a very decent product, especially suitable for a child with reflux who remains uneasy for the most part but is able to self-soothe through the movement of the bouncer. Sporting one of the best baby bouncer seats, it fairs quite well among its competitors. The price, however, is a little high for most parents when it comes to a bouncer. The bouncy seat of this baby bouncer turns a full 360 degrees so that your child never gets bored – they can enjoy the view and play with the toys on all sides. The frame of the bouncer is made of steel and is extremely sturdy, which makes sure that your baby will remain safe, given that it is used appropriately. It is important to note here that the maximum height and weight recommended by the manufacturer are 32 inches and 25lb respectively. This product, like the previous one, grows with your baby – it adjusts to three different height levels as your child grows older. A peek-a-boo tiger, bat-at monkey, rattle lizard, bobble elephant, and spinner drum are just some of the toys that will go on to become your kid’s best friends. Along with the colourful toys, the Jumperoo also has sound and lights to keep your child fully engaged. This product can only be used by children once they can hold their head up unassisted. Consequently, you have to stop use once your child is old enough to be able to climb out of it. The product collapses inwards, which means that it is a breeze to fold and wrap up when your kid is done playing with it and you need to store it somewhere safe. Once folded, it is also easy to carry around and transport so you face absolutely no trouble at all. 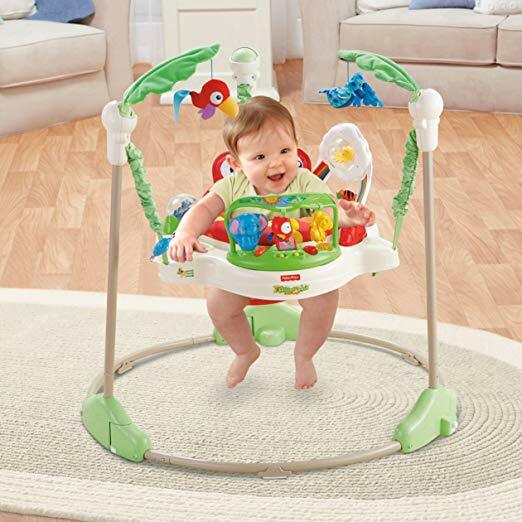 The bouncer encourages moving, spinning, and jumping, all things that help greatly with your child’s motor skills – in short, it is the best baby bouncer jumper. Assessing exactly where the toys are and grabbing them also enhances the hand-eye coordination of your child. A motion sensor can detect when a child is jumping up and down and when they do, it sets off lights and sounds as a result which keep the baby happy and occupied. The seat can be machine-washed easily. This is a great package at a relatively very cheap price. Bright colours to keep your child engaged. Lights and sounds further add to the child’s excitement. Cannot be used from birth. With all these splendid features at such a nominal price, this is probably one of the best bouncer chairs in the market currently. This product bounces along to your baby’s movement, which means that your child will be able to soothe him or herself, even in your absence. The infant’s bouncer has a removable toy bar with two bat-at spinners and one monkey rollerball. Your child can be distracted by the colours, sounds, and movements of the toys and enjoy the time they are in the seat. They also help your child develop their gross motor skills by reaching out and grabbing the toys to play with them. The seat is extremely comfortable, a major factor in whether a baby is calm and quiet. This bouncer features the option of introducing calming vibrations into the equation. Sometimes, one kind of motion or soothing movement is not enough for your child to feel at ease and stop crying. That is when you can turn on vibrate mode and put your baby at ease. Cleanliness is a major consideration when it comes to products for the little love of your life. And this one isn’t a cause for worry in that regard because when the seat pad becomes dirty, you can simply remove it and toss it in the washing machine for a good wash.
A three-point harness makes sure that there is no way your child can wriggle or jump out of the seat of the bouncer. Kids are fidgety and so, you need to keep the belt fastened at all times. The vibrating bouncy seat keeps the baby calm when rocking just doesn’t work. It has a smaller maximum weight support threshold that other variants of the product. With all the best features at an extremely reasonable price, this is probably the best seated bouncer you can go for. The Evenflo ExerSaucer Zoo Friends prides itself in providing a safe and secure learning environment for your child where you don’t have to supervise them to prevent them from getting hurt. The seat offers a 360-degree turn capability to your child. This means that they won’t get bored as they can look around in all directions and enjoy everything that is happening around them. On top of that, because of this feature, all the toys on the bouncer are easily accessible to the child. There is not one, not two, but multiple activities to keep your child occupied when they are in the bouncer. With a multitude of colours, textures, and sounds that keep the child distracted, you can go about your daily activities with ease. All the activities enhance the child’s fine motor skills, hand-eye coordination, and core muscle development. If you are not comfortable leaving your child alone in a room for an extended length of time, you can easily take them with you. While the frame of the bouncers is slightly on the larger and wider side to accommodate big babies, it is still lightweight, which means you can move it around easily. The product offers your three height adjustment options which are necessary so that your child can be comfortable and happy as they grow. They aren’t too cramped when they are younger and the space isn’t too loose for them to fall through or climb out of easily when they are older. The rock, spin, and bounce actions allow your child to develop and strengthen the muscles of their legs, neck, and back. The plastic surface of the bouncer can be cleaned easily with a cloth using soap mixed with warm water. The seat sad can be machine-washed and dried so you never have to worry about it getting dirty. Numerous activities to keep your child distracted. Can be carried around the house. With some of the most interesting features and activities, this is the best bouncy chair for a heavy baby or one who is slightly older and can sit up unassisted. Much like the previous bouncer, this one also sports a seat that rotates a complete 360 degrees, ensuring all-around fun your child. Because your child will be able to turn in all directions, they will never get bored as they will have a view of the happenings all around them. A large number of ocean-themed activities are bound to keep the baby busy for the larger part of the day. If your child is into fish and other underwater creatures, this is the perfect partner for you but even if they are not, they are bound to get intrigued by the wonders of the underwater world. There are four different heights that you can adjust the bouncer to. This ensures that it grows with your child and you don’t have to deal with the disappointment of only getting to use it for a few months. Your child can learn numbers and colours in three languages (namely English, French, and Spanish) thanks to the removable sea turtle activity centre. So along with fun and play, they also get to learn something and use their time in a more worthwhile manner. The bouncer sports extra link loops using which you can attach your child’s favourite toys or keep changing the toys on a regular basis. This ensures that your child never gets bored and always has his or her favourite things at an arm’s reach. The jumping motion that the bouncer encourages your child to indulge in allows their leg muscles to develop properly and get strengthened. This product is suitable for children as soon as they can start sitting up unassisted till the time they are under 30 inches tall. You can easily wipe the bouncer structure and the toys clean. 15 unique activities to choose from so your baby never gets bored. Themed fun, especially for those who marvel at the wonders under the sea. A little on the pricier side. This product is relatively heavier and not so easy to move around. With an abundance of activities, 15 in all, this is the best baby play bouncer that you can go for – it will ensure that your baby never gets bored. One of the things that set this product apart is its soft and snuggly bouncer seat that will make even a grown-up want to give it a try. The soft, plush fabric is extra comforting and easy on your baby’s sensitive skin. The bouncer comes with a removable newborn baby support that means it is perfect for your child from day one. 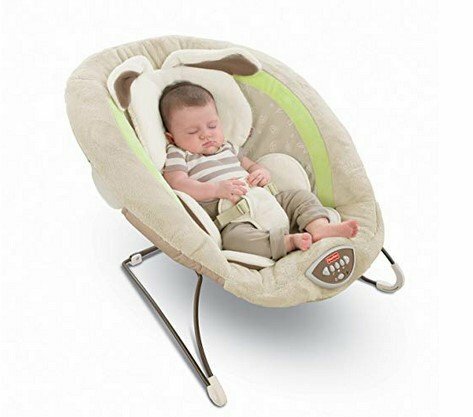 With up to 20 minutes of musical tunes and nature sounds, this bouncer comes out at the top when it comes to keeping your baby calm and happy. A crying or agitated baby cannot always be soothed just by movement – you need to complement that with soothing melodies that have a calming effect. Along with a rocking motion, you can use the vibration mode if your child is super agitated and needs more than just one form of relaxation to be at peace. You can also use it separately, depending on your baby’s mood and preference in the moment. There is a removable toy bar which features bird soft toys. By playing with and reaching out to try and grab them, your baby’s motor skills and hand-eye coordination get enhanced. The harness on the child bouncer features a restraint pad which ensures that while the wriggliest child remains safe and secure, they don’t get uncomfortable with a belt digging into their soft skin or exerting unnecessary pressure. Because of its light weight, it is easy for you to move it around the house so you don’t have to leave your little sweetheart alone for too long. You can also transport it easily because it is portable – that trip you wanted to take never looked more appealing. The seat is machine-washable so you don’t have to worry about it getting dirty. The base of the bouncer has four high-quality grips that do not allow it to move from its place. The comfy, plush seat of this bouncer sets it apart from others. A large variety of musical tunes and nature sounds keeps the baby happy. The plastic control panel can sometimes get in the way of the baby kicking and cause them discomfort. With its comfortable seat, soothing music and rocking and vibration options, and all of that at a very cheap price, this is probably the best electric baby bouncer for newborns! This is one of the lightest and most compact bouncers that are available in the market today. That, undoubtedly, makes it very easy to move from room to room. That’s not all. You can take that holiday you thought you’d have to put off and that trip to Grandma’s without any worries because you can just take the bouncer with you. Simply fold it up and you are good to go. But even that is not all! It comes with a carry bag that makes it very easy to carry on your shoulder. This bouncer is suitable for indoor and outdoor use. The baby’s own movement rocks the bouncer so that they can self-soothe, even when you are not around. The safety harness ensures that your baby remains safe until you can get to them, even if they are having a meltdown or are being super-hyper. Relatively a lot cheaper than most of its variants in the market. Extremely portable due to its light weight, easy foldability, and carry bag. Because this bouncer has been designed to fold easily, it does not have the comfiest, padded seat that you may want for your child. With its super-light and extra portable functionality, you can just take this bouncer along with you for that trip to the park or for a visit to the rest of the family. It really is the best portable bouncer. 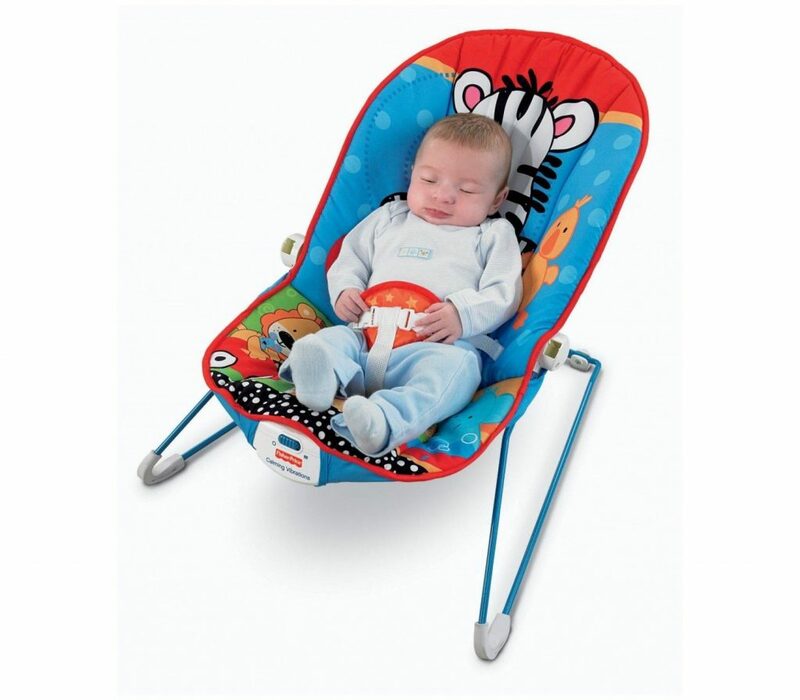 The colourful, attractive bouncer keeps you and your child happy as it is a delight to look at and most definitely a delight for your baby to relax in. A vibration mode makes sure that your child does not have to remain upset or agitated for long – you can turn the vibration mode on and rock your baby at the same time so that they are able to relax and be at peace. A soft fabric that is gentle on your baby’s skin helps them get comfy in the seat. A harness system is a must when it comes to a bouncer but whether the belt is comfortable or not is another story. You want to ensure that your child remains safe and snug at the same time. This soft safety harness promises just that. 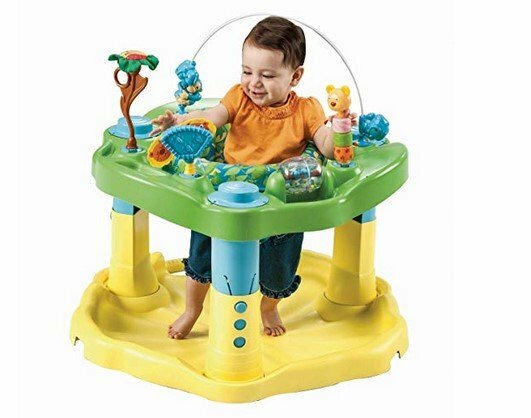 The bouncer features a toy bar that has spinning toys attached in different shapes and colours. They will ensure that your baby does not get bored while also getting a chance to polish their hand-eye coordination and gross motor skills. While your child can tug at it all they want without it coming loose, you only need one hand to remove it when you need to put your baby in the bouncer or clean the toys, for example. A machine-washable seat ensures that you do not have to worry about dirt and stains – whenever you feel like the seat is getting unclean, you can toss it in the washing machine and give it a spin. This is a compact bouncer and can be used easily in small spaces. This product comes with a very small price tag. No sounds to keep the baby distracted. At a minimal price, the lowest of all the bouncers we have discussed in this blog post, this is an ideal bouncer if you are shopping on a budget. It is best for small spaces because of its compact size and portable because it is light in weight. All in all, a great product at an even better price! This baby bouncer is unique in its look and feel, making it different from all the other bouncers we have discussed in this list. It has a more modern, sleek touch, which goes well with contemporary interiors. 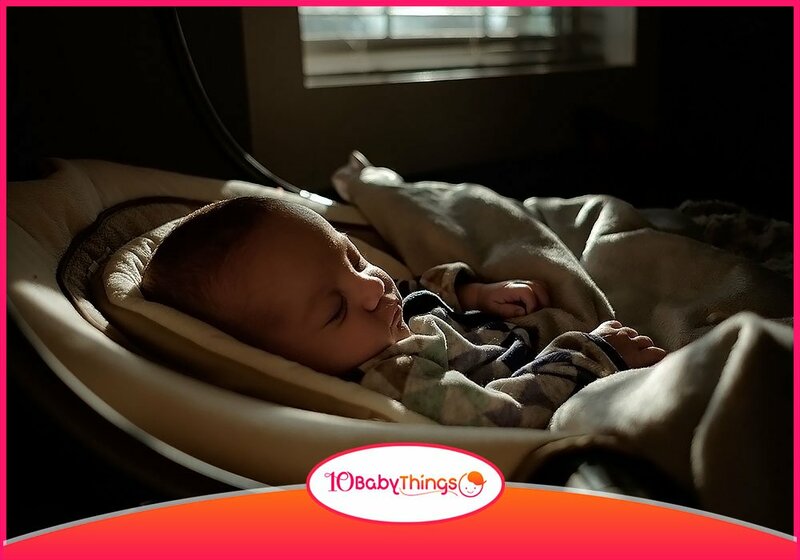 The bouncer does just what the name suggests – it bounces your baby until they are peaceful and happy. 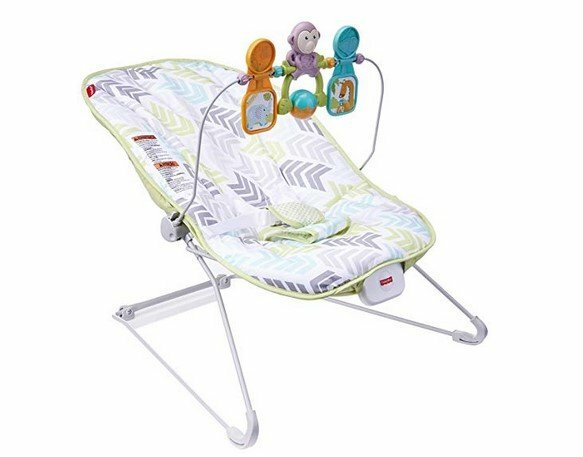 What’s more, however, is that it has two vibration modes that can complement the bouncing motion for when that just isn’t enough to soothe the baby. It has three recline positions, namely fully lie-flat, semi-reclined and fixed upright. What this basically means is that you can adjust the position according to your child’s age, their preferences, and what they want in that particular moment (for example, you could choose the fully lie-flat position when it’s nap time but could go for a semi-reclined position when your baby is awake and wants to look around). As mentioned above, the third position is the fixed upright position. This one is for when your child grows older and needs a place to sit upright that is only theirs. 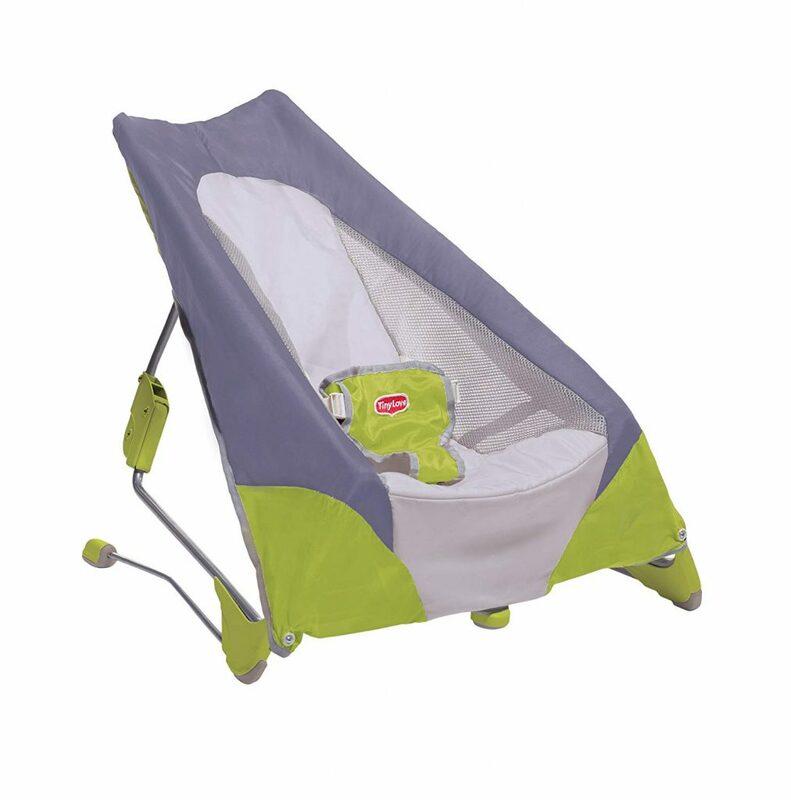 The bouncer folds flat and comes with a travel bag, using which it can be transported easily. This makes it perfect for parents who are always on the go or those who take long trips to visit family and need to take the bouncer with them. A 5-point harness keeps your baby safe but that is not all – it is softly padded, which means that it keeps them comfortable too! The seat pads are removable and machine washable so you don’t have to worry about the stroller remaining clean. Concealed front and rear retractable feet make the bouncer base anti-skid, which is essential when it comes to the safety of your child. This product has a modern look and feel. Folds flat and is easy to transport. Becomes an upright chair for when your baby is older. It is on the more expensive side. While this bouncer is pricier than most of the others in this list, it makes up for the price by being a bouncer for your tiny baby and a seat for when they grow older, as well as the portability factor it provides by folding flat and coming with a carry bag. All in all, this is the best baby bouncer chair with a contemporary finish if you can spare some extra bucks! Now that you have taken a look at 10 of the bestsellers in the category of baby bouncers, you have some important decision to make before you can actually make a purchase. It may seem like a straightforward decision but there are things to consider. Why? Because like most parents, you are likely bound by some kind of a budget. Having a baby is more expensive than you realise, especially when you have a kid for the first time. And you have to start living your life by prioritising. What do you absolutely need and what can you do without? Is a certain product worth the cost? How quickly will your child outgrow it and is it really worth investing in if it is only usable for a small period of time? These are some of the many questions you have to answer before you can make a purchase decision as a parent on a budget. Here are some particular ones that we will answer for you that are relevant to you buying a baby bouncer for the love of your life. As you will now be aware, having gone through this entire blog post, there are two main categories of bouncers, one that you can lay your baby down in and the other which requires that your baby be able to sit up unassisted. The former category of bouncers can, more often than not, be used from birth, even if with a newborn insert that keeps that baby snug and safe. So if you need a bouncer for your child as soon as they are born, go for the lay-down option that often works well for you until the time your child learns how to crawl or walk and wants to move around all day. They can still, however, come back to the bouncer when they need to take a nap or rest for a while. The lay-down option basically works best for busy parents who cannot be around their baby 24/7 and need to find a way for the baby to remain calm and happy in their absence. It also works wonders for fussy children, those who are colicky for example, as it can rock them all day long if the need arises. The sit-up bouncers are better for people who are looking for a way to keep their child safe and distracted as they go about their daily activities. If you can do without a bouncer for your newborn because they are not at all fussy, you can invest in a fun-time bouncer that your baby can start using when they are a few months old. It is pointless to go for both products as they are quite similar in nature. 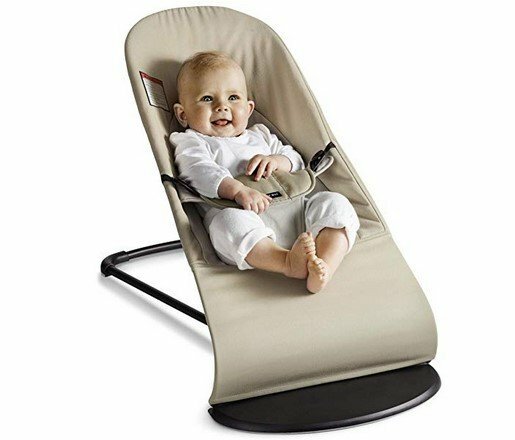 While baby swings do come at a more expensive price, they contain a larger number of rocking motions, such as vibrate, to and fro, head to toe, and so on. If you have a fussy baby and need a number of different movements and sounds to keep them calm and happy, you can go for a swing. 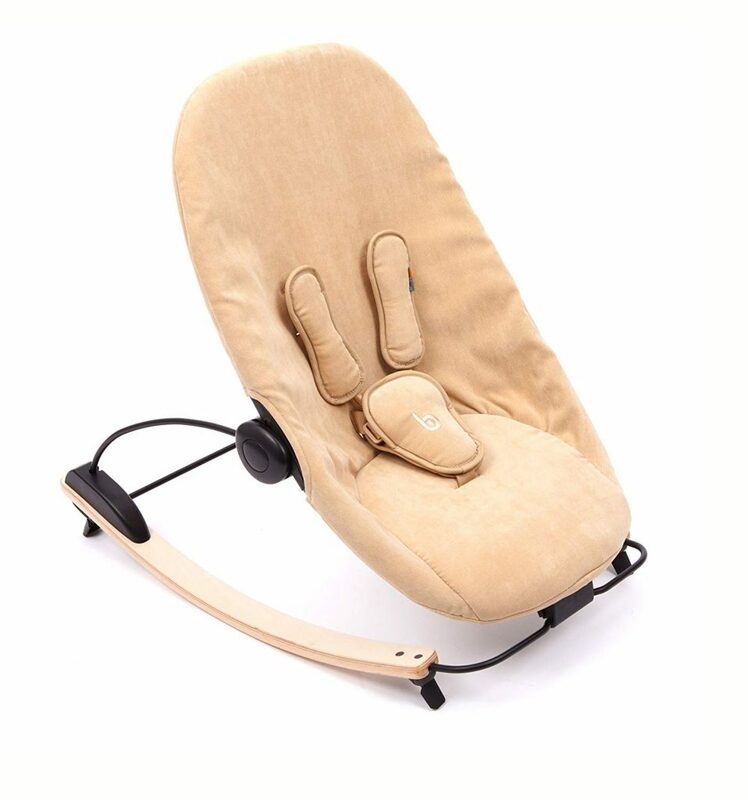 However, if you think a simple rocking motion, paired with vibrations and sound work just fine for your baby, a baby bouncer, which you can buy for a lot less money, is a perfectly viable option for you. Most parents worry about the health and safety of their child before buying any product for them. Many bouncers nowadays are suitable for your children’s health as they have in-built support that doesn’t have a negative effect on their posture or any other aspect of their wellbeing. However, do study the specifications of the particular product you decide to go for in detail to make sure it offers the kind of support you are looking for, the kind that your baby’s tiny fragile body needs. As far as safety is concerned, you need to look for one that has a sturdy frame, non-slip grips on the base, and a reliable safety harness so that your child is not prone to any kind of danger. 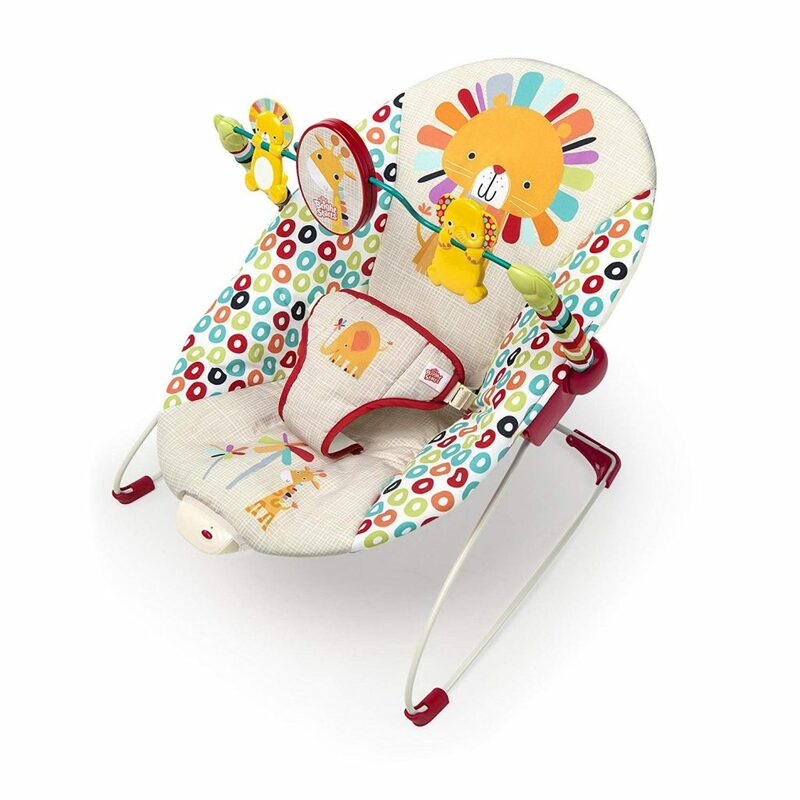 If you are looking for the best infant bouncy seat which you want to become your child’s favourite spot (apart from your arms) as soon as you bring them home from the hospital, the Fisher-Price My Little Snugabunny Deluxe Bouncer is the one for you. With all the premium features you need for your baby’s comfort and safety, a warm, snug look, and all of that a highly reasonable price, you can’t go wrong with this product. And if you are worried, thinking “when can a baby use a bouncer safely,” don’t worry, because this product does not cause your newborn baby any harm. Are you on the search for the best baby bouncer that doubles as your child’s favourite play area? 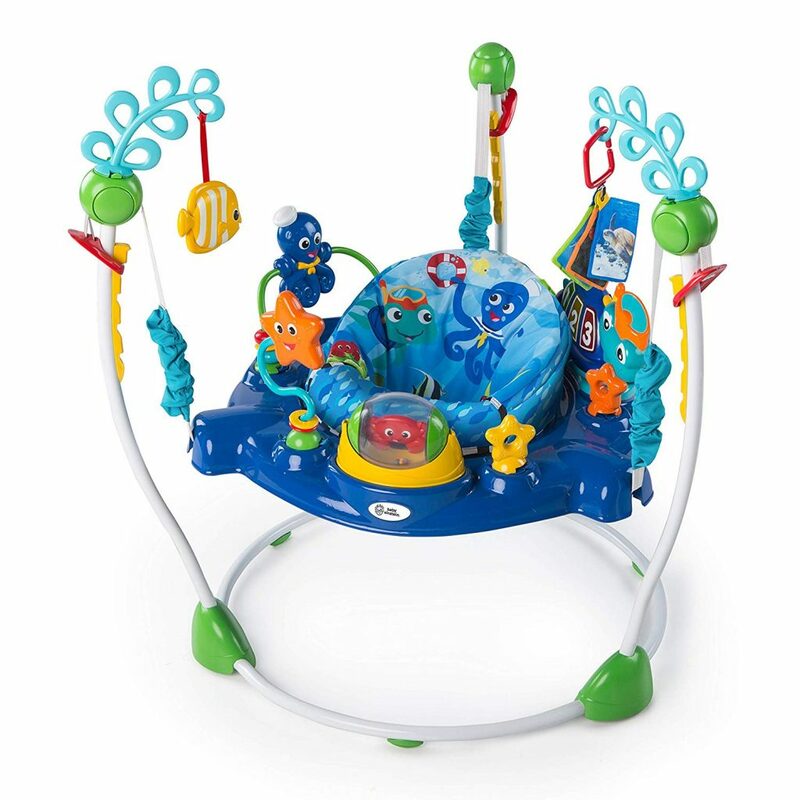 The Baby Einstein Neptune’s Ocean Discovery Jumper is just the thing for you. 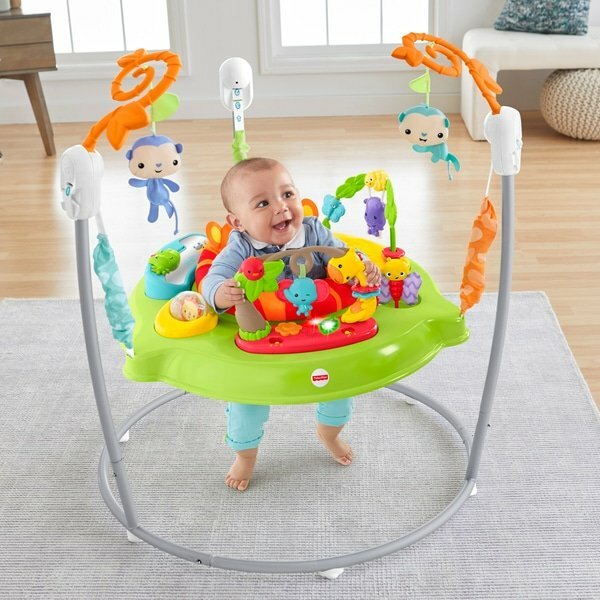 With over 15 unique activities for your child to take part in, multiple adjustment options to keep them comfortable, and a beautiful ocean theme, this is one of the best, top-rated baby bouncers that will not disappoint.